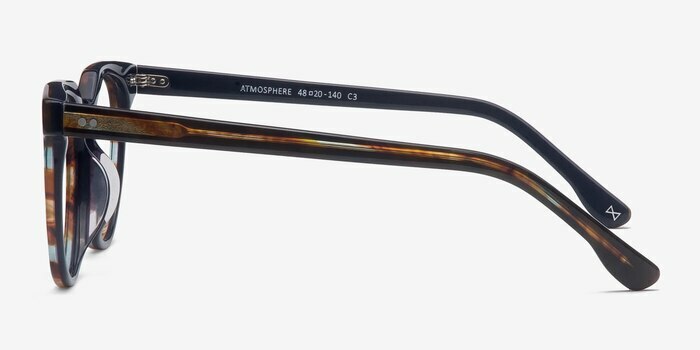 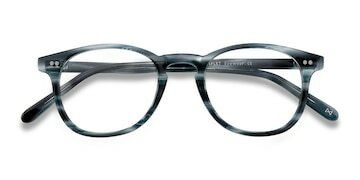 Defy your atmosphere and transcend with these nebular navy eyeglasses. 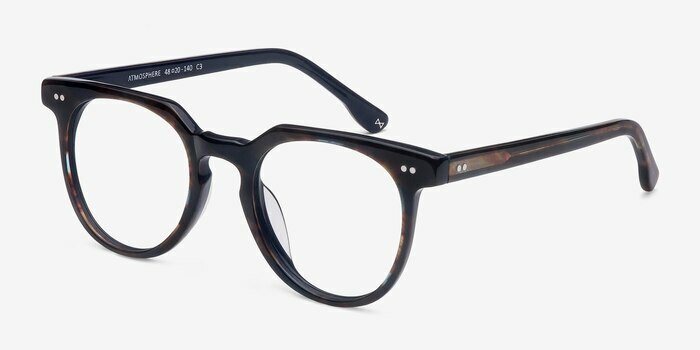 This bold and edgy frame is constructed from premium acetate in a translucent ivory tortoiseshell finish throughout, bonded with Italian hinges. 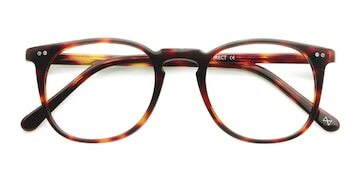 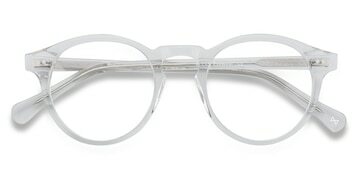 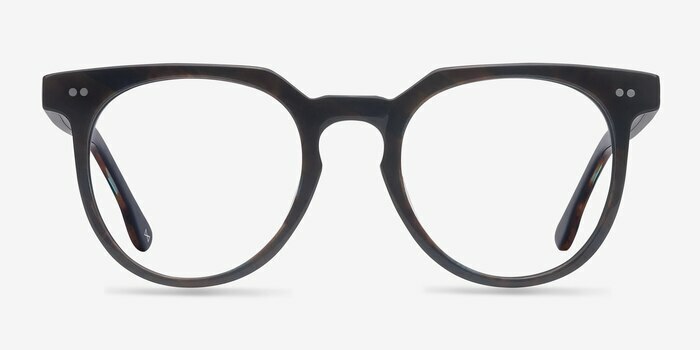 The round shaped lenses are connected with a keyhole nose bridge and are balanced with an angular browline. 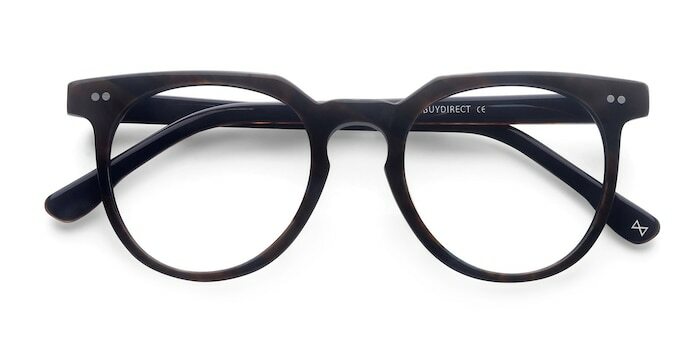 Double stud accents add a studious touch to this already elevated look.